As you read this we're probably listening to Michelin Global Guides director Jean-Luc Naret read off the Los Angeles Michelin-starred restaurants for 2009 while we nibble on something the chefs prepared at Gordon Ramsay at the London in West Hollywood. Good thing we got the results just a tad early so we can bring the news to you first. 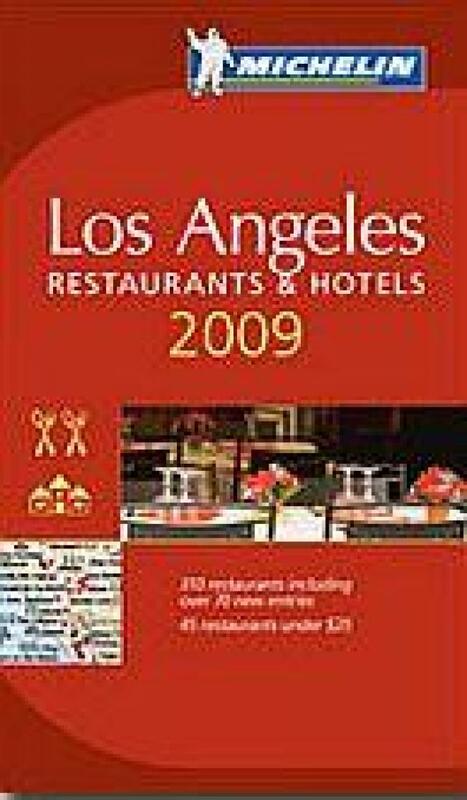 In short, there are 310 restaurants in this year's guide with 16 one star and 4 two star; still no three stars for Los Angeles, but considering the U.S. restaurants with this rating (French Laundry, Joel Robuchon in Las Vegas), this isn't shocking. The big news is that Michael Cimarusti and Providence move gets two stars this year (up from one). Bastide (before or after Paul Shoemaker we wonder? ), Hatfield's, Osteria Mozza and Sushi Zo are the new one stars. Losing their star this year: Joe's, Matsuhisa and Saddle Peak Lodge. We have 26 restaurants on the Bib Gourmand list, described as a special designation for restaurants that serve a meal (two dishes and a glass of wine or dessert) for $40 or less, which includes A.O.C. (consolation prize? ), Angelini Osteria, Fraiche, Pizzeria Mozza next to places like Lu Din Gee Cafe in the SGV and Alhambra's Triumphal Palace. We'll bring the full press release your way later---and some thoughts from this year's winners---but until then, do peruse the list of winners.